So you would be entitled to assume that strategists within major banks and insurers would be busily scurrying around frantically innovating new products and services that simply ooze customer value. Frankly, anything that rebuilds trust and engenders loyalty, in an effort to undo the reputational damage done in recent years. Yeah right. Customers aren’t really that important…yet! 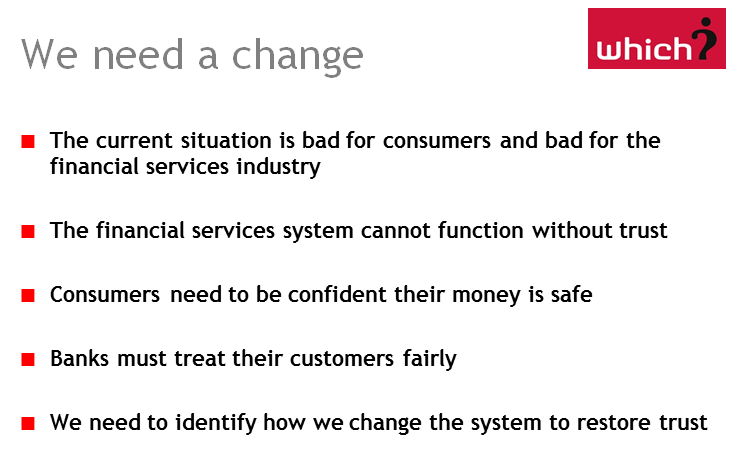 I know I have been going on about this for a long time now BUT, from the distinct lack of any change of attitude or strategy, it appears that the customer message has not been taken on board. Further evidence of the arrogance of FS and, in my humble opinion, a very serious mistake. As we enter, what will be, a difficult and painful period for UK (and beyond) the realisation that the perpetrators of so much of the financial misery have “escaped”, unscathed – apart from a lot of Governmental and Regulatory rhetoric, will lead to a public backlash! Of course this has most serious implications for Government as society suffers. FS firms who wait before offering truly innovative solutions and reintroducing customer value – instead of stripping it our for themselves and for their distributions channels – will only confirm, to the informed observer, that they have failed to learn any lesson from past, inglorious, failure. Filed under Business Change, Insurance Broking, Insurance Industry, UK Economy Tagged with Citi, competitive advantage, Customer, Edelman, Edelman Trust Barometer, Financial Services, insurance, Insurers, NNT, Push–pull strategy, PwC, sustainable customer value, transparency, trust, Warren Buffett, Which? Complexity: The power to save lives…or to cost them. Healthcare is already something that Ontonix are involved in and have specific products for (click on OntoMed logo). Very recently I had the privilege of meeting one of Dr Atul Gawande’s colleagues, a Research Fellow, who had been involved in the WHO research referred to in Dr Gawande’s book and that caused such a stir in 2009. This isn’t his first book . In his book Complications, he is refreshingly forthright about the nature of the work he undertakes. Gawande describes the tasks of the men and women of the medical trade in a way that many may find unsettling: "We drug people, put needles and tubes into them, manipulate their chemistry, biology, and physics, lay them unconscious and open their bodies up to the world." Even more revealing is the book is divided into sections titled "Fallibility," "Mystery," and "Uncertainty." The topics Gawande takes on include the practical necessity of having surgical students train on live patients, the confusing psychology of bodily illness, the question of why doctors make mistakes, the repercussions when they descend into periods of incompetence (they often keep practicing), and the peculiarities of relying on intuition in situations of life and death. Now I don’t profess to be a medical person, but, like anyone else, realise that I may need to rely upon their professional expertise at some point in the future. I find it refreshing that influential people within medicine recognise that COMPLEXITY and UNCERTAINTY can be simplified by asking the right questions in advance. And that, as a result, better outcomes can be achieved. Maybe, eventually, other professionals, C-level Executives and those that carry the associated financial risks will realise that there are some significant lessons to be learnt from questioning current practises and conventional wisdom. There is no excuse for "failing to prepare…" and every reason to ask different and better questions. "Avoidable failures are common and persistent, not to mention demoralizing and frustrating, across many fields — from medicine to finance, business to government," he writes. "And the reason is increasingly evident: the volume and complexity of what we know has exceeded our individual ability to deliver its benefits correctly, safely, or reliably. Knowledge has both saved and burdened us." 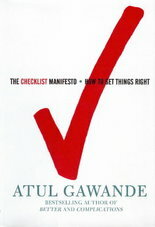 via With ‘The Checklist Manifesto,’ Atul Gawande writes a powerful, clear testament to a deceptively simple tool | cleveland.com. Christmas shocker: Derman on models! Derman adds, mean that models should be junked. They can be valuable if employed with five, key principles: firstly, financial models should avoid too much axiomatisation; secondly, they should be as “vulgar” as possible (meaning there should be “as direct a path as possible between observation of similarities and the consequences”). Thirdly – and crucially – they should “sweep dirt under the carpet but let users know about it” (i.e., tell everyone up front what has been ignored in the model assumptions.) 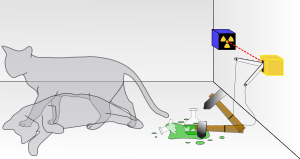 Fourthly, model users should be trained to think of models as “Gedanken experiments”, used to illustrate a theory but never meant to be physically carried out – like Schrödinger’s cat. Last but not least, financial players must stop their “idolatry” of models; and, presumably, their worship of quants. If you think I am exaggerating the risks then PLEASE do tell me but, first, you may want to give it some thought. 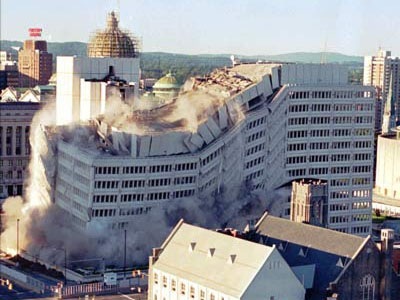 A few years ago, “disasters” – whether natural or man-made – that involved a large number of fatalities, affected whole countries (or regions) were, to many, just news items to view at dinner time or discuss over a beer. They tended to happen to people unknown to you and so far away that perhaps the scale was lost on you. Even the newsreaders only change their tone and put on the “sad faces” if ”…among the victims were (?) Britons”. I wouldn’t necessarily say that Live Aid changed things but it certainly helped “prick the social conscience”. We (in UK) should consider ourselves fortunate that we have not DIRECTLY suffered as a result of tsunamis – volcanoes – earthquakes – droughts. Hungary HAD a proud track record of zero toxic sludge, The Gulf of Mexico for oil spills that last for weeks and Chernobyl for explosions! These and other events, such as the virtual collapse of global banking, Somalian Pirates, Terrorist attacks, flu pandemics and striking Chinese workers may not be happening on your doorstep…I wouldn’t want to live on that street(! )…but the point is that the inter-connectedness that brings global trading and opportunity has “baggage”. Low probability: high impact events (Black Swans) can destroy the complex infrastructure of inter-connected systems and networks that have taken years to build. Systemic risk has the ability to hit, almost, without warning and to gather in momentum as it attacks the least robust and resilient enterprises. A model-free Complexity analysis from Ontonix is the first step toward protecting against systemic risk. Our unique technology extends the risk horizon beyond that of conventional risk management techniques. Our goal is to make decision-makers aware of the fact that since complexity can be measured, it can be managed. Sustainability, like Complexity management, isn’t just “good for business” it’s good for everyone. Companies with aspirations to participate in supply chains with some of the biggest brands on the planet will already have an understanding of what is required…and the long term benefits. We should all hope that the message cascades AND that the smartest organisations invest in building-in business robustness and resilience for the uncertain times ahead.